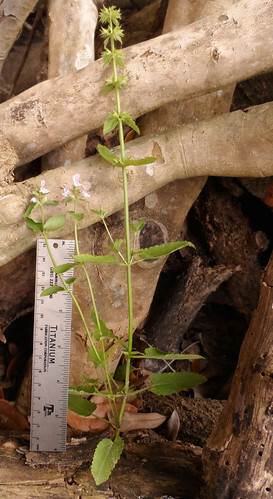 Mature plant after it dropped its flowers in the spring. 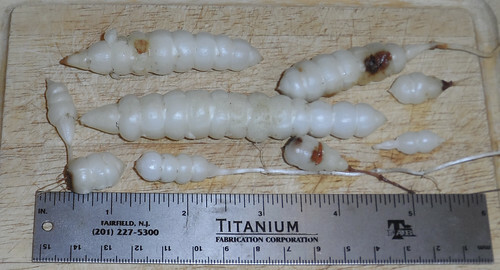 Close-up of betony tubers. The tubers will be this large in the spring and summer. 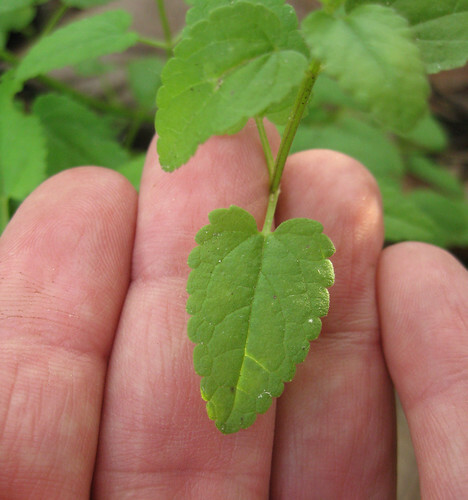 Close-up of betony leaf. 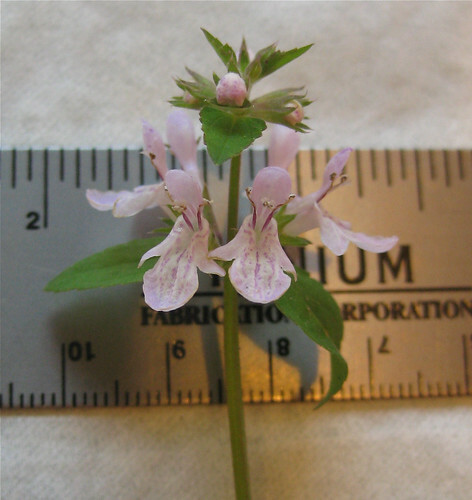 Note the square stem and the alternating, opposite leaf arrangement. 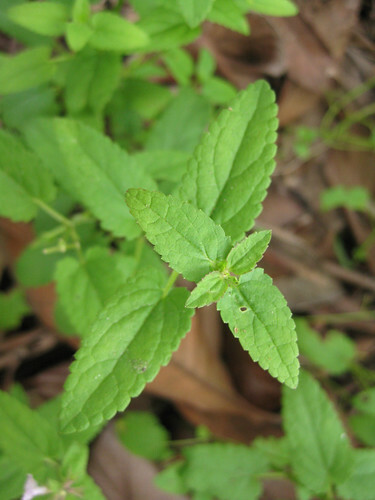 These are signs of the mint family. If you have a cold, sell your coat and buy betony! 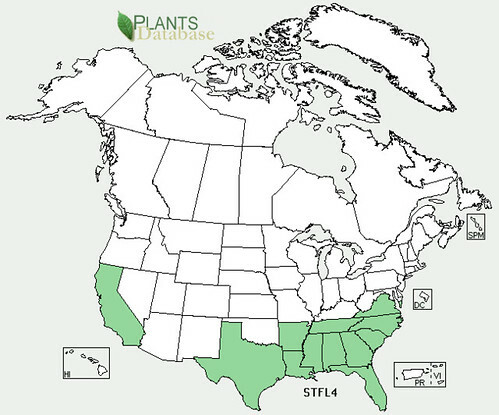 This map is VERY incomplete. 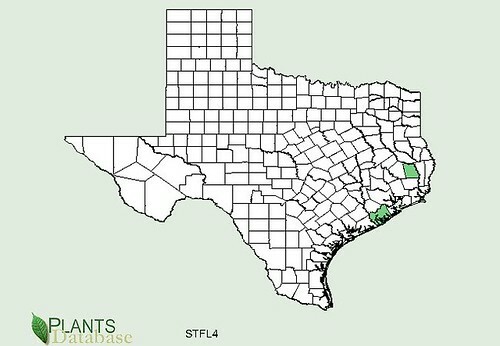 Betony appears all through Gulf & East Texas. 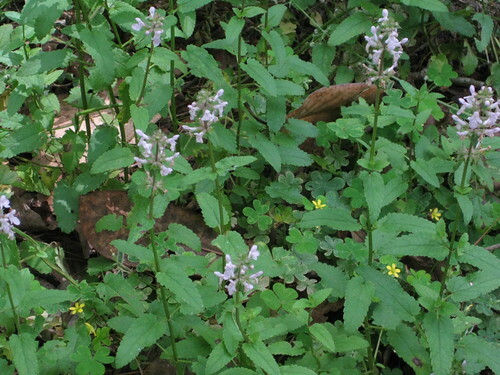 Large patches of betony plants can be found in local forest from mid-fall until mid/late spring. 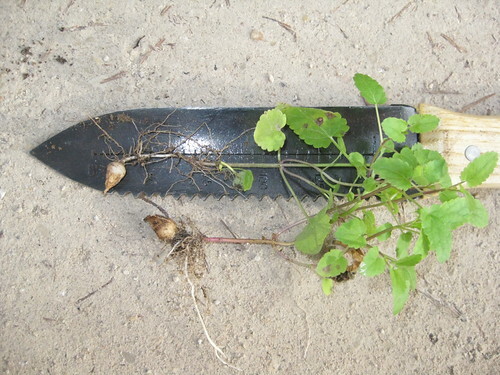 During this time the tubers are growing, reaching full size of over four inches long. 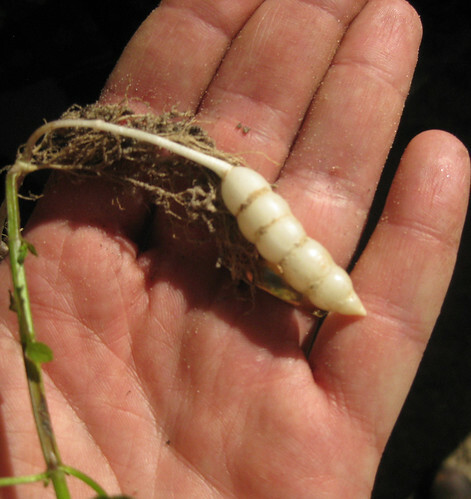 Not every plant produces a tuber, you need to dig up quite a few to find them. The looser the soil the bigger the tubers will grow. 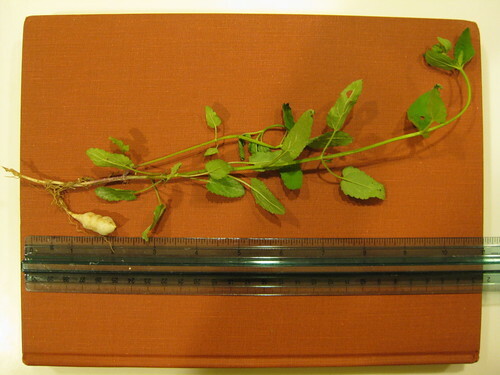 These plants readily reproduce from bits of tubers and roots and so are considered to be invasive. 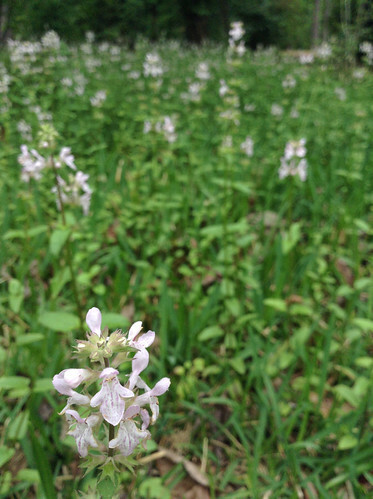 Betony flowers in the spring and this is a sign the plant is almost done for the year. You can eat the flowers or make a tea from them but they don't have the strong medicinal properties of the younger leaves. 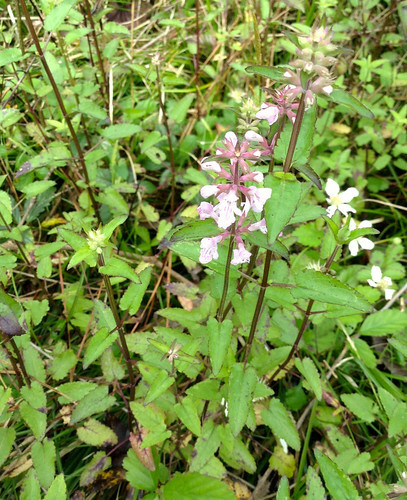 Usually by the time the flowers appear it's too late to harvest betony leaves. 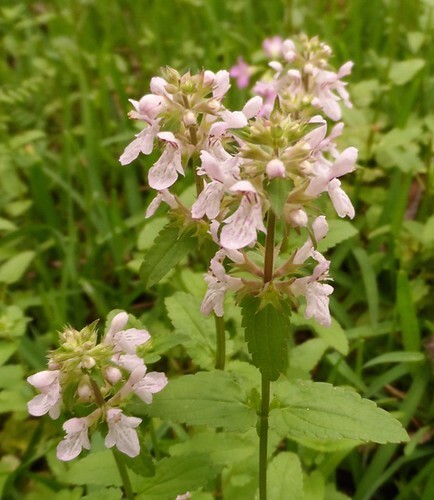 Betony has a long history of being an herbal "magic bullet" capable of curing many ills. It's high tannic acid content helps it staunch bleeding; assorted alkaloids and antioxidants supposedly give relief from fevers and headaches along with improving overall blood circulation. In Europe it is believed to help with issues with the stomach, liver and gallbladder. It was ingested as a tea, herb, and also by both smoking and as snuff well before the arrival of tobacco.